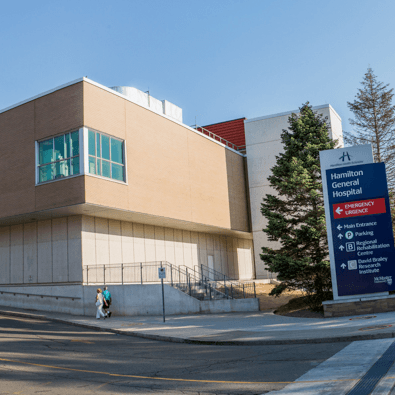 The Epilepsy Clinic at Hamilton General Hospital cares for adult patients (18 years and older) with chronic uncontrolled epilepsy, newly diagnosed epilepsy or those for whom an epilepsy diagnosis is uncertain. The clinic is located within the Neuroscience Ambulatory Centre. Clerks who help manage the clinics. You will speak to a clerk when you call the clinic. They may ask for more information, or may call you with an appointment or instructions about tests. You will be seen in an outpatient clinic setting. You do not stay overnight. Please bring a current list of your medications each time you visit the clinic. You are welcome to bring a family member or support person to your appointment if you wish. You will generally be referred by your family doctors or a specialist. Sometimes the doctor managing your epilepsy will co-manage your case with the Epileptologist at the clinic. You may also be referred through the Emergency Department or after discharge from hospital. Clinic hours vary by physician. The clinic is closed on statutory holidays.